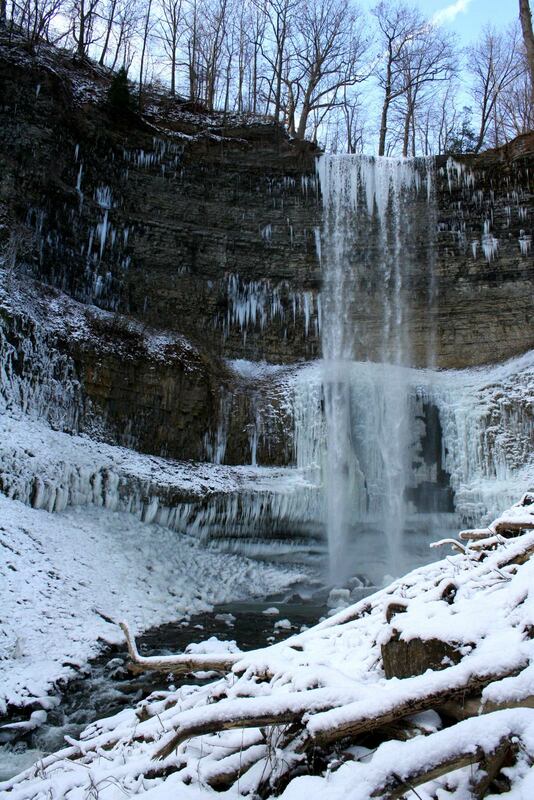 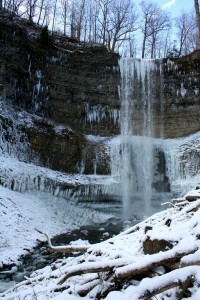 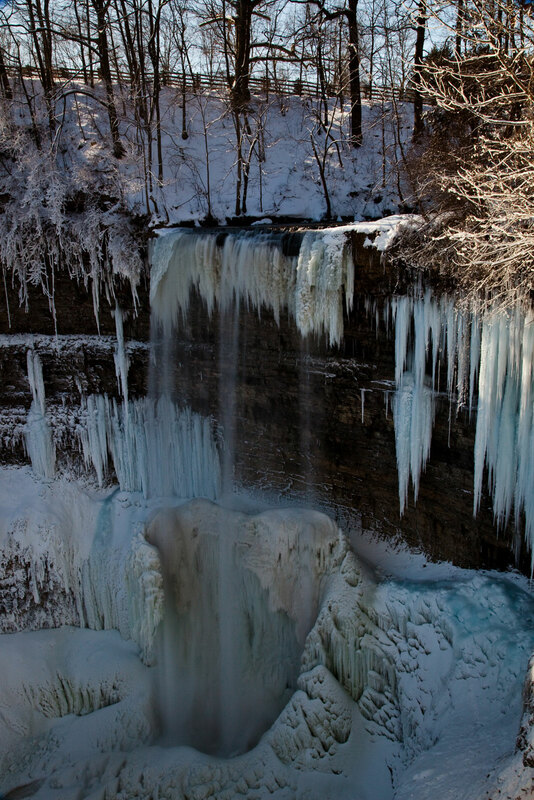 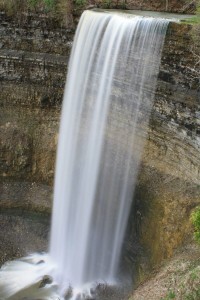 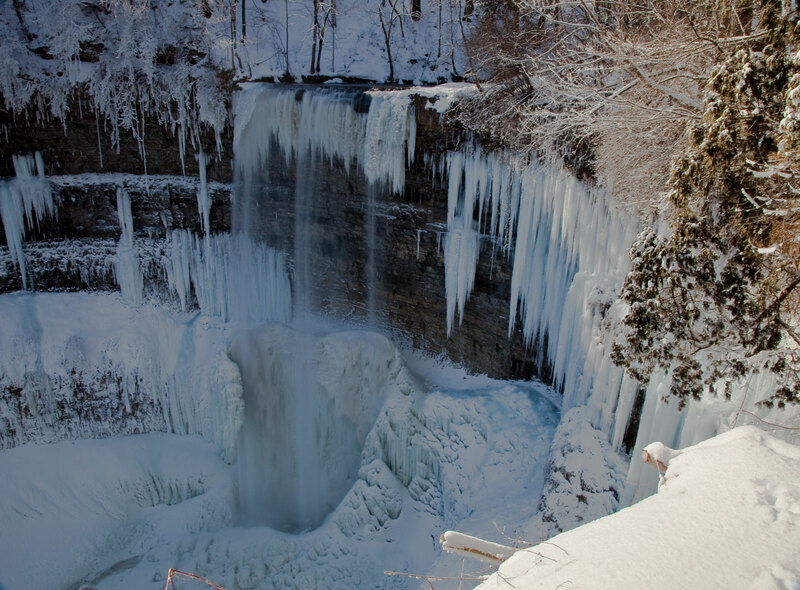 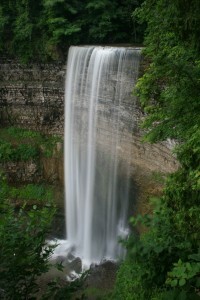 Tews Falls is a ribbon waterfall 41 metres in height, making it the tallest in Hamilton. 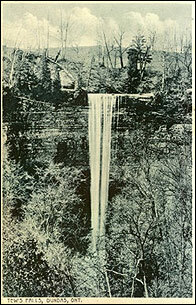 Located at the Spencer Gorge / Webster’s Falls Conservation Area in Greensville, its source is Logie’s Creek. 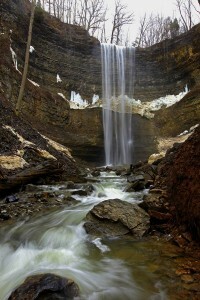 Much of the present gorge was carved out by the body of water that preceded Spencer Creek, about ten thousand years ago. The rock layers are deposits of mud and other substances from the floors of the ancient seas that once covered parts of this continent, and fossilized remains of sea plants and animals have been found in rocks in the area.